Local author and actor Lorna Landvik hosts her annual post-holiday show at Bryant Lake Bowl starting January 1. In Party in the Rec Room, Landvik creates different characters on the spot based on prompts from the audience--guaranteed to result in a different show each night! Enjoy the video from 3minuteegg. The Twin Cities is home to celebrated chefs and authors specializing in Asian cuisine and cooking with Asian ingredients. The Asian Pages features a roundup of culinary gifts from local resources including cookbooks, classes, and products from Raghavan Iyer, TeaSource, Leeann and Katie Chin, Supatra Johnson and Sami Scripter and Sheng Yang. Check out their websites for sample recipes and more gift ideas. Have a happy, spicy, solstice! The Hennepin County Library offers a series of book clubs for kids this winter. I can’t help but think that Minnesota winters contribute to our state’s higher than average literacy rates and strong book community. What else is there to do besides stay indoors and read? The library offers a variety of kids’ book clubs in categories such as manga, teen guys, teen girls, girls only, and even a teen daughter-mother pairing. The Minnesota Humanities Center also has a great site devoted to family reading programs, including info on how to start a dads and kids book club, complete with book suggestions and materials for discussion. Leaving a life behind—and then struggling to keep in touch with loved ones: immigration is a wrenching change, and the letters between family members give a moving and intimate view of the process. 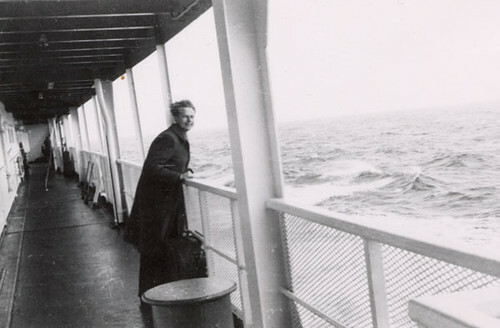 This letter and thirty-nine others are now available online in “A Heart Connects Us: Immigrant Letters and the Experience of Migration,” a pilot project sponsored by the Immigration History Resource Center at the University of Minnesota. Correspondence between eight non-English speaking immigrants and those they left behind, with English translations, opens the project. But surviving letters usually show only one side of the correspondence. The project’s organizers hope to find the missing letters in archives around the world, reuniting the stories of families and communities. 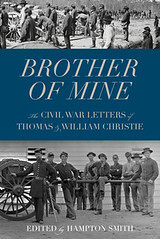 You can look at some letters for yourself, listen to Minnesota Public Radio’s story on the collection, and read more about Minnesota’s immigrants, either in our classic 1981 work, They Chose Minnesota: A Survey of the State’s Ethnic Groups, or in our People of Minnesota series, which includes books on the Norwegians, Swedes, Germans, Irish, Jews, African Americans, Mexicans, Poles, Chinese, and Hmong, as well as the Ojibwe, whose immigration story took place much earlier. 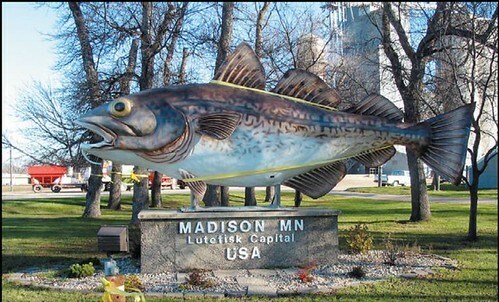 Perhaps because I’m not from Minnesota, I am a bit obsessed by people’s willingness to eat lutefisk in an age when refrigeration is available, and so I was very happy to see this new video posted by MPR about the Norsefest in Madison, Minnesota, Lutefisk Capital of the USA. While I love fish, shellfish, raw fish, oysters, and clams, I have not been able to get myself to try lutefisk. According to the book Keeping Christmas: Yuletide Traditions in Norway and the New Land by Kathleen Stokker, the widespread eating of lutefisk grew out of Norway’s adherence to Advent fasting, which continued even after Lutheranism was adopted as the official state religion. One of the highlights of Norsefest is the lutefisk eating contest, also deemed a “talent competition,” which makes perfect sense to me. You can read more about the Norwegian history of eating lutefisk in this Keeping Christmas excerpt.